At the Festival de Cannes (the glamorous and world-renowned annual film festival in the French riviera town which just ended this weekend), there is a competitive category for imaginative and daring films that are a bit off the beaten track of cinematic expectations, but that are still deemed worthy of critical attention. This year's winner in the Un certain regard (A special look) category was a Cambodian film called L'image manquante (The missing picture), based on the director's own memoir about life under the Khmer Rouge. Paying special attention to misfits or non-traditional participants has brought France success in the past, in cinema, and also in athletics. The story of Zinedine Zidane, the famous French footballer is a good example. His parents were working class immigrants from Algeria, living in a poor area of Marseille when their athletic son began playing in a local football club. His talent was obvious, and he got enough certains regards that he was soon swept up into the soccer academy at the Cannes professional football club, where he spent several years, and then went on to a successful national and professional football career. He probably first drew the attention of district level scouts at a tryout like our soccer-playing son attended this past January. 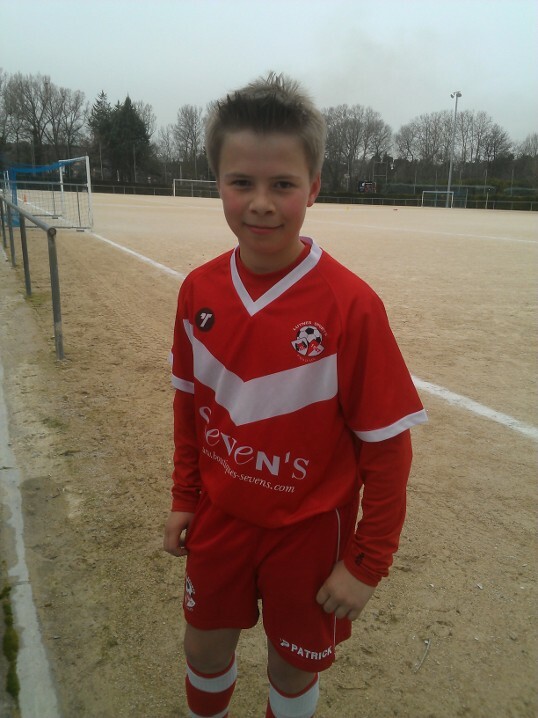 This son received an obligatory summons to a district-wide brassage (a type of tryout), along with two other 12 year olds from his club, and about 60 other boys from the District de Provence, the same district in which Zidane once played. The tryout was run by an organization called Les espoirs du football (Football's hopes) which identifies football talent on the local level for France's national team training programs , as I understand it. While it's certain that many an immigrant or immigrant's child has been vetted in such tryouts, apparently our son's appearance, as an American, was a novelty. It was such a daring thing to be nominated that his chances for being chosen to advance to the next step were virtually nil, as one of the organizers told our son afterwards. (He was kind about it, saying that it had nothing to do with his talent, but his nationality. He didn't however address the fact that our son does play with a French player's license.) In any case, just one of the three boys from our son's club in the U-13 age group were selected to a weekend training camp. Since then though, there have been a few other opportunities during club play to show off for French national and professional team scouts as they travel the South of France looking for future candidates for their programs and academies. (This process begins early in youth sports, in France as in the U.S. I wrote about it several years ago, from a sociological perspective, as we experienced it in U.S. youth baseball; see Tracking Little Leaguers, March 2009.) One of our son's teammates has been scouted by Monaco's professional football club over the past two seasons, and will likely join the academy there in a few years' time, while an older Norwegian expatriate clubmate had the opportunity this past winter to show his soccer stuff in front of scouts for Metz, a club from northern France. A country like France is able to centralize its scouting and discover unconventional talent much more easily than might be the case in the U.S. with its many thousands of players, myriad clubs, and numerous umbrella organizations. In France, the Fédération Française de Football, or FFF, is the umbrella organization to which all football clubs are affiliated, and to which all French football roads seem to go. Despite the lack of recreational leagues like we have in the U.S., the French football club system though is not especially elitist, at least not at the lower levels. Football in France is an everyman's sport, drawing working class families' kids, with the relatively affordable fees at the youth level. (I compare these to our U.S. fees in another post, La vie familiale, Jan. 2013.) The past successes of Zidane and other athletes with immigrant roots no doubt also attract immigrant youth to the sport (although the attractions are not necessarily the same for girls, French or immigrant: see Le bonheur, Dec. 2012 ). In our experience, the French clubs seem open to foreign youth players on their turf, as long as we pay our fees, but I do remember being asked at our son's first club if we were planning to hang around France for a while, implying that there had been problems with foreign kids joining, benefiting from the training, and then scooting. The current club asked no such thing last spring, and lately the technical directors have even seemed a bit proud to have an American player on the club's roster (after some initial surprise that this player could actually play le foot). Now though, everyone is under scrutiny at the club, regardless of national origins (the foreign players at the club include a Finnish boy as well). Les detections (tryouts) are in full swing for the next season. Est-ce que tu es prête, Anne? Claude Lévi-Strauss by Patrick Wilcken 2010: An interesting view of major developments in anthropology and of French academia in the last century. Paul Cézanne, by Gerstle Mack 1935: I have a better understanding of why the artist was not a beloved son of Aix until after his death. He was genius, but difficult. Night, by Elie Wiesel 2006 translation: Nobel Peace Prize winner's courageous memoir revealing how quickly inhumane treatment turns us toward self-preservation. My Beloved World, by Sonia Sotomayor 2013: The first Hispanic Supreme Court Justice has a truly sociological understanding of her trajectory from minority, working class origins to the Ivy League and beyond. And she writes of it beautifully. After the Wall: Confessions from an East German Childhood... by Jana Hensel 2004: Continuing my East German memoir kick, another reflection of life before and after the Wall. Red Love: The Story of an East German Family, by Maxim Leo 2009: Here's someone my age whose socialist childhood is juxtaposed with his adulthood lived in postmodern Western industrialized society. Long Ago in France: The Years in Dijon, by MFK Fisher, 1991: She's known for her expressive literary skills but it was her astute, careful observations of the social scenes that made her stories so rich.